Covidien is owned by Medtronic. About Medtronic: Medtronic is working with new partners, in new ways to improve global healthcare. With the integration of Covidien as the Minimally Invasive Therapies Group, Medtronic can address the healthcare needs of more people around the world than ever. 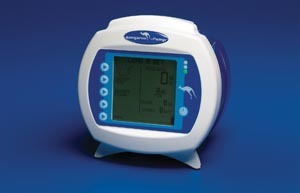 Industry-leading Covidien/Medtronic brands include: Kendall, Nellcor, Puritan-Bennett, and Valleylab. They are known and respected worldwide for uncompromising quality. Over the years, Covidien/Medtronic pioneered a number of medical advances, including pulse oximetry, electrosurgery, surgical stapling, laparoscopic instrumentation and embolization devices. This extensive product line, spanning medical devices and medical supplies, enables Medtronic to serve healthcare needs in hospitals, long-term care and alternate care facilities, doctors offices, and in the home.